Andreas STIHL Pvt. Ltd. is a wholly owned sales subsidiary of Andreas STIHL AG & Co. KG, Germany. 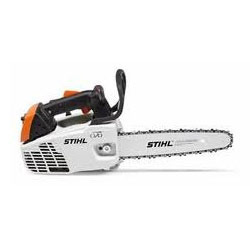 STIHL - 85 years old Germany based company - is one of the leading global companies in the field of outdoor power tools that include chainsaws, brush cutters, hedge trimmers, blowers, vacuum shredders, telescopic pruners, earth Augers, rescue saw and cut –off Saws. With manufacturing facilities in six countries, its own sales companies in 32 countries and a worldwide network of 40000 servicing dealers operating in more than 160 countries, STIHL is the world's largest selling brand in chain saws and cut off saws. We are wholesalers and retailers of a wide range of Pole Pruners. 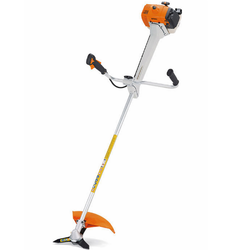 These are procured from Stihl vendor and ideal for pruning tall trees from the ground. Our range is available ion different models and ideal for easy to cut branches up to 5 m. These are especially designed for use in park and landscape maintenance, as well as for large private estates. Further, with the support of this equipment, the branches can be conveniently cut back without leaving the safety of the ground. Our range is available in various weights such as 25.4 cc, 0.95 kw/1.3 hp and 7.3 kg weight. 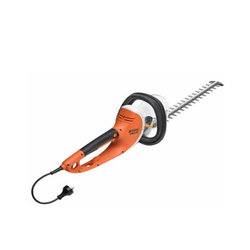 Our organization provides unmatched range of Hedge Trimmers to our clients, which is procured from Stihl vendor. These are exclusively designed for use in park and landscape maintenance, as well as for large private estates. 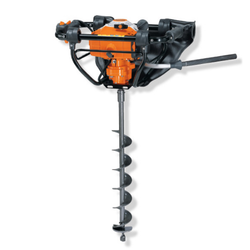 We also offer special-purpose hedge trimmers and classical hedge trimmers to our clients as per their requirement. Our enterprise specializes in offering a wide range of Garden Blowers to our clients at competitive prices. These are ideal for tending large private grounds or public parks. With the support of this blowers, leaves, grass cuttings and garden debris are moved easily and with the powerful air stream. It is also ideal for larger items such as paper cups and can. Furthermore, our range is available with the patented 4-mix engine and combines the advantages of a 2-stroke engine with those of a 4-stroke engine resulting in less emission, no need for oil services and a more pleasant noise. We offer a comprehensive range of Agricultural Implements like Earth Augers to our clients, which is procured from trusted vendors in the market. It is available in bore holes up to 20 cm in diameter into the earth or take soil samples. This is possible with the STIHL BT 121 one-man earth auger. Our range is also facilitated with quick stop drill brake feature including a release lever. Moreover, the engine unit to the drill is interrupted and the earth auger stops immediately. 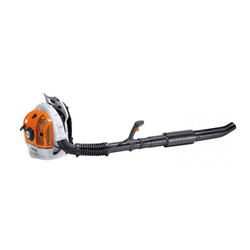 STIHL hedge trimmers are now also available in cordless versions. The handy HSA 85 powerhouses meet professional standards in terms of cutting performance and working comfort. Just what you expect from a STIHL. Best of all, they operate without fuel or a cable! The low-noise hedge trimmers are ideal for use in noise-sensitive environments. Tame the toughest. All the excellent comfort of the HSE 61 but with more power for heavier pruning & trimming. With the longer cutter bar and the extra reach trigger you can trim up to 3.0 metres (nearly 10 feet) high. Our company provides a superior range of Brush Cutters to our clients, which is ideal tool for any job right from light brush cutters with petrol or electric drive to extra powerful clearing saws for professional forestry use. These equipment is fitted with ergonomically designed handle and well known for easy to use and to operate. proven professional chain saw redesigned exclusively for fire, rescue and emergency service work, the MS 460 R STIHL Magnum® "Rescue" has what it takes — just ask the Virginia Beach, Va. Fire Department who helped us design it. 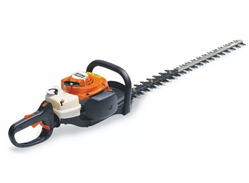 Lightweight and high powered even at mid-speed range, this chain saw can cut through even the toughest jobs using its specially designed saw chain in urgent situations. 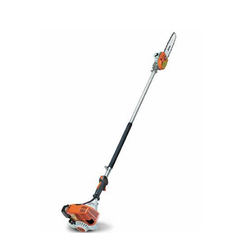 The STIHL Electric Brush Cutter FSE 81 offered by us is widely used by our precious clients for trimming the small areas, lawn edges and the edges of flower beds around the garden. Equipped with a quiet motor, which makes this range suitable for the areas where noise is an issue. 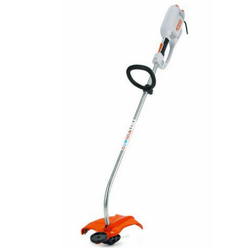 Moreover, these are also ideal for clearing small areas around trees, paths and steps. Vibration levels Left/right 2.9/2.2 (m/s). Step up to the big leagues with the MS 660 STIHL Magnum®, the legendary STIHL® TIMBERSPORTS® competition chain saw. With one of the best power-to-weight ratios of any chain saw in the industry, this chain saw will take care of your heavy-duty big timber cutting. A popular pick among professionals. Wrap-handle version (R) with extended chip deflector on sprocket cover. This sleek, hard working electric chain saw was created with the professional in mind. With a sturdy design and heavy-duty magnesium construction, the MSE 220 has a significantly higher cutting speed than the MSE 180 C-BQ, making it the most powerful in its class. 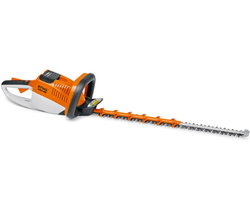 Lightweight and practical, this chain saw is even quiet enough to perform indoors. Slip clutch to help protect the motor if the chain should stall. The number one selling brand of chain saws worldwide deserves top-quality saw chain and replacement guide bars. And you can get this chain and these bars from STIHL. STIHL is the only gasoline powered chain saw manufacturer worldwide that designs and manufactures its own saw chain and guide bars. You can be assured the same quality engineering and innovative technology that have made our chain saws famous go into every component of long-life STIHL OILOMATIC® saw chain. Chain Guide Bar Length (mm) 12" to 16"
Designed to help tree services cut pruning and equipment costs down to size, the MS 192 T C-E is one of the most popular professional chain saws on the market. Value priced, this lightweight balanced chain saw is now fitted with our Easy2Start™ system for easy starts in tough “in-tree” situations. 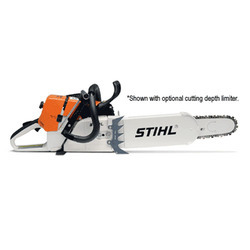 Looking for STIHL Products ?